Elisa Baral enjoys her work as an audit project manager with the Corporate Audit Services Department at U.S. Bank, but her duties only tell part of the story of why she likes coming to work every day. Yes, Baral enjoys tackling different audits and the unique challenges each one brings. However, she also gains work fulfillment in her other role at the bank: as vice president of the company’s Nosotros Latinos business resource group. Nosotros Latinos, which launched in 2016, plays a crucial role in raising awareness of U.S. Bank’s Latino-focused strategies inside and outside of the company. U.S. Bank’s recognition of how quickly Latino population is growing in the country is one reason it has launched a number of Latino-focused strategies. The Latino demographic is currently the largest minority group in the U.S. and still expanding and U.S. Bank wants to build a firm foundation of engagement and trust with Latinos across its footprint. U.S. Bank’s Latino outreach isn’t just about increasing its customer base. It wants to diversify its workforce, too. Baral works in the Twin Cities area of Minnesota, where the amount of Latinos in high-end leadership positions has been historically low, although that is beginning to change. The turnaround can be attributed to organizations like the Association of Latino Professionals in Finance and Accounting (ALPFA). Baral joined the organization’s Twin Cities chapter board in 2012 and helped with its re-launch. Meanwhile, U.S. Bank sponsored both the chapter and was a national sponsor of its annual convention in 2015. Like U.S. Bank, ALPFA is committed to developing and advancing Latino leaders. The company leans on organizations like ALPFA to help build a pipeline of Latino talent. The company has reached out to other Latino-focused organizations like the Hispanic Chamber of Commerce and made them aware of specific openings it’s recruiting for in an effort to attract and retain top Hispanic talent. It has also added depth to its talent pool by enhancing its summer internship with a focus on minorities. The Nosotros Latinos members also refer employees to the company. “They offer the best first-person evidence of our welcoming environment on bringing your whole self to work,” Baral said. The ALPFA members at U.S bank have helped enrich the company’s corporate culture in a big way, according to Baral. Several of the Nosotros Latinos board members also belong to ALPFA and they bring unique perspectives and leadership experiences to U.S. Bank, which in turn has helped the business resource group become a success. ALPFA members have also served as advisors to the bank on issues like marketing and customer experience and are active volunteers with a number of Hispanic community groups within the bank’s footprint. 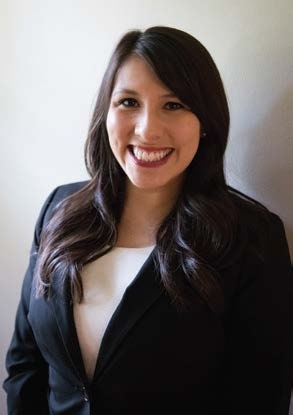 Between her work in the Corporate Audit Services Department, sitting on the Nosotros Latinos board and working with ALPFA, Baral keeps busy. It’s worth it to her though, as she’s not just building a career for herself, she’s helping others, too.